The exact monitoring of dew point temperature in compressed air systems, dryers for plastic and other industrial processes is becoming increasingly more important. points in OEM applications down to -60°C (-80°C). The core of the transmitter is the monolithic measurement cell type HMC01 developed by E+E Elektronik in thin-film technology. device and years of experience in low humidity adjustment make an accuracy of <2°C Td (±3.6°F Td) possible. 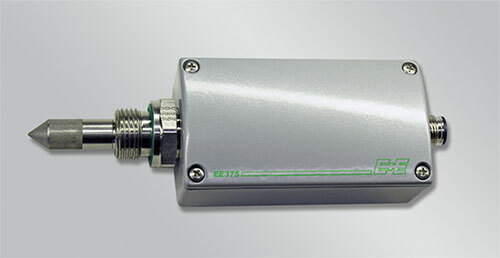 The transmitter has one analogue output for dew point, frost point or ppm volume concentration.